02. Please tag your posts. Include a date at the end of your topic titles in (MM/DD) format. - [OFFICIAL] For officially released pictures e.g concept photos, TV shows, dramas, etc. - [PHOTOSHOOT] For photoshoots of any kind. - [MAG] For magazine spreads. - [AD/PROMO] For pictures relating to T-ara's advertising promotions. - [TWITTER] [IG] [FB] For Twitter, Instagram or Facebook uploads. - [PRESS] For press release photos. - You may use other tags that best suit the photos, such as Posters, Sponsorships, Gifs, etc. 04. Pictures must be related to T-ara. - Non-T-ara photos will be deleted. 05. Fan photos are permitted so as long as the owner allows. - You may post fan taken photos but please be sure the owner or fansite have given their permission. Fansites: Eunchannet, Hyomdot, Jingdot, QulWang and JeonDot have request for their photos to not be reuploaded. NOTE: Due to being large in number, in order to further organize the Photos forum, we will cease posting threads of individual Instagram updates by T-ara. Please instead post to the designated Official Instagram Thread. 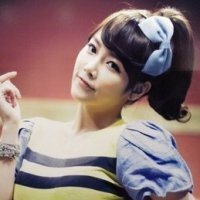 Instagram photos by other accounts featuring T-ara are still allowed. Thank you!